Flutterby's Rantings and Ravings – Me, what I'm going through, family – hope it's interesting to some! Me, what I'm going through, family – hope it's interesting to some! On Mar 14th, the Oregon HERC Task Force was going to vote to make a rule for Medicaid requiring all opioids to be tapered to zero except in a few very narrowly defined cases. At the last minute on the morning of the vote, HERC said they were postponing the vote due to a conflict of interest they had “just learned about”. That’s a pretty flimsy excuse because the membership and the whole process of this group have been driven by conflicts of interest (of the alternative medicine community) and a vast ignorance of medicine, pharmacology, and reality. Since when does the government write prescriptions? I’m disappointed to see this limited only to cancer patients. Since we know that there’s NO DIFFERENCE between cancer and non-cancer pain, these findings would also apply to other kinds of chronic pain. 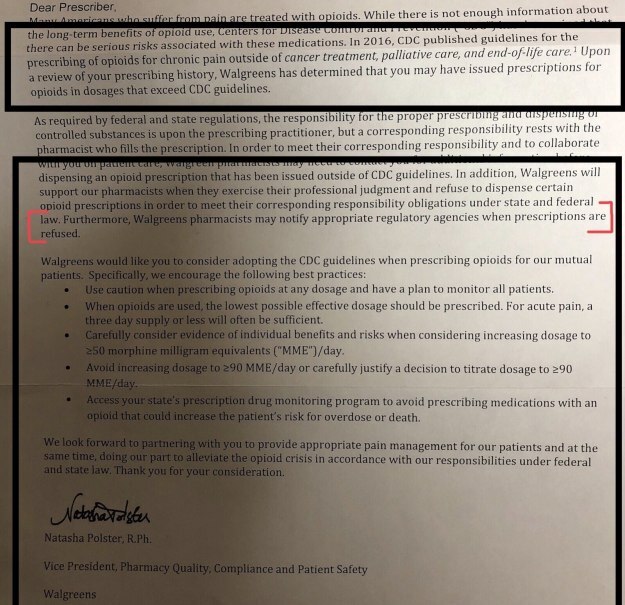 Side effects and inadequate pain relief with the use of opioids in cancer patients is a challenge for healthcare providers to manage and can cause considerable problems for these patients. While the topic is still debated within the medical community, opioid switching in cancer patients may provide relief of pain and alleviation of opioid-related side effects, according to the results of a recent Italian study. Chronic Pain Patients: An insight to the veiled threats Health Care Providers receive treating pain. From Walgreens on this example to my Physician’s Assistant. I am a double board certified Anesthesiologist and Pain Specialist, treating complex pain and cancer pain always w/comprehensive approach. Insulting. Every story has to end. Mine has. Goodbye. Or perhaps the ceiling overhead. Light and full of energy. Lest you’ve felt it in your bones. Will there be a cure someday? For this, we can only pray.